There are some serious supercar credentials going on here. 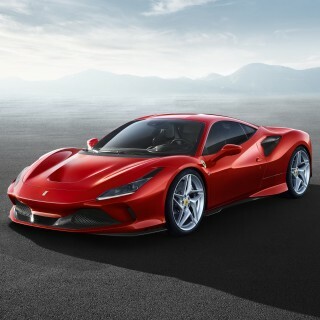 Mid-engined, twin-turbo, V8, and claimed to be capable of 0-60mph in 3.3 seconds and a top speed of 248mph. But what is it? 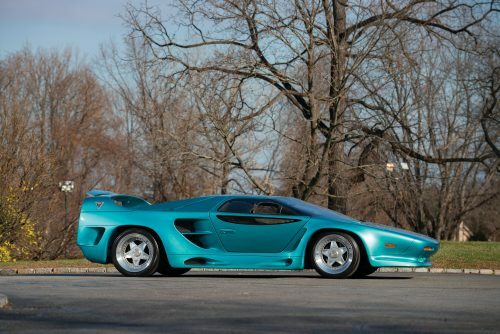 It’s basically the successor to the 1989 Vector W8, America’s first true supercar. 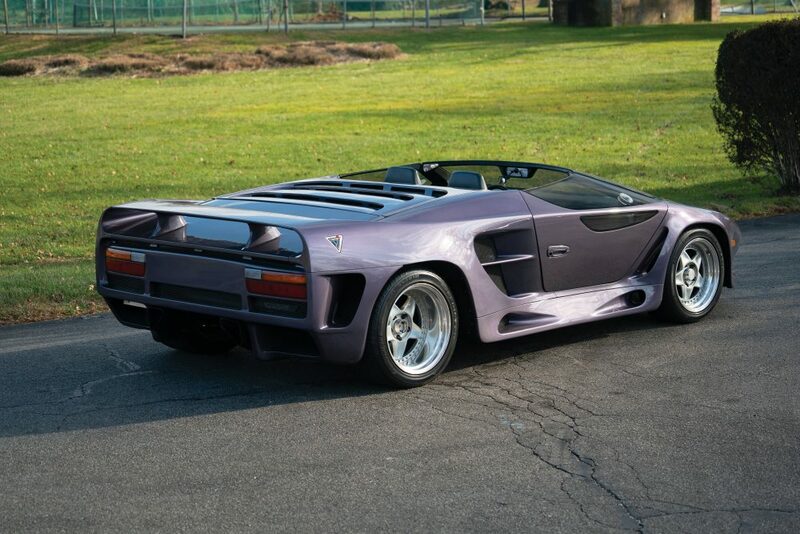 It’s one of just two WX3s built by Vector before a hostile takeover by the then-owners of Lamborghini killed it dead. Shame, because it’s a pretty cool thing. It’s not a car that’s been seen a lot—and the reason you see it here is because it’s coming up for sale with RM Sotheby’s at its Arizona sale on January 17. 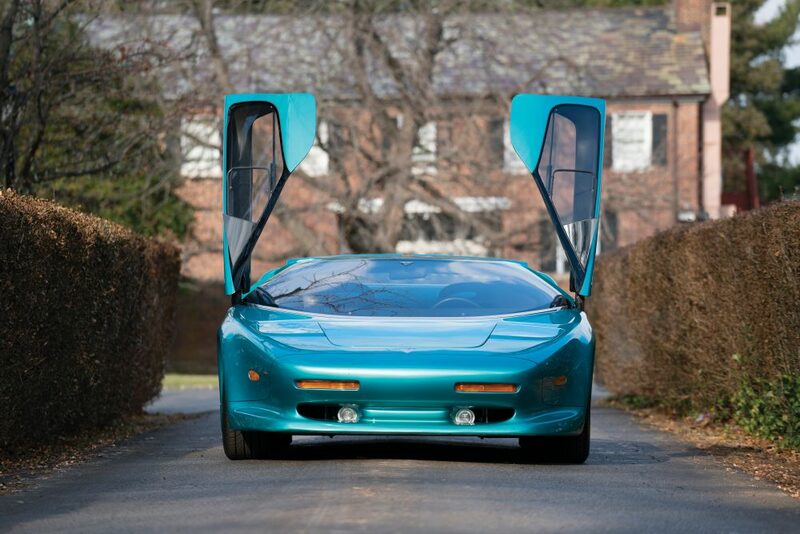 Vector was formed by Art Center College of Design graduate Gerald “Jerry” Wiegert, who started a design firm called Vehicle Design Force with the intention of building an all-American supercar. 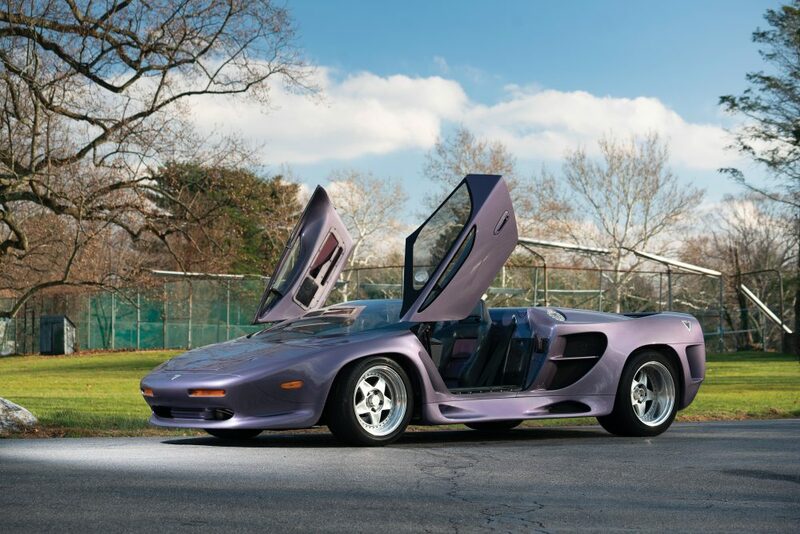 The first was the twin-turbo V8 Vector W2, which impressed showgoers and press with its high-tech design and finally, after a decade of fundraising, developed into the Vector W8, using technology cribbed from the aerospace industry. 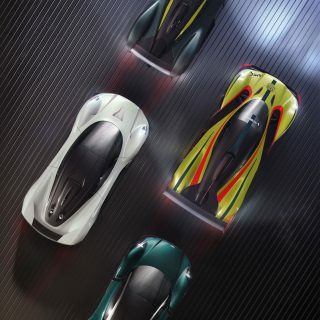 More than 20 were sold, at a price of more than $450,000 each. And then Wiegert turned his attentions to the W8’s successor, the Avtech WX-3. Like the W8, it featured an aluminum honeycomb structure floorpan and carbon fiber and Kevlar bodywork. 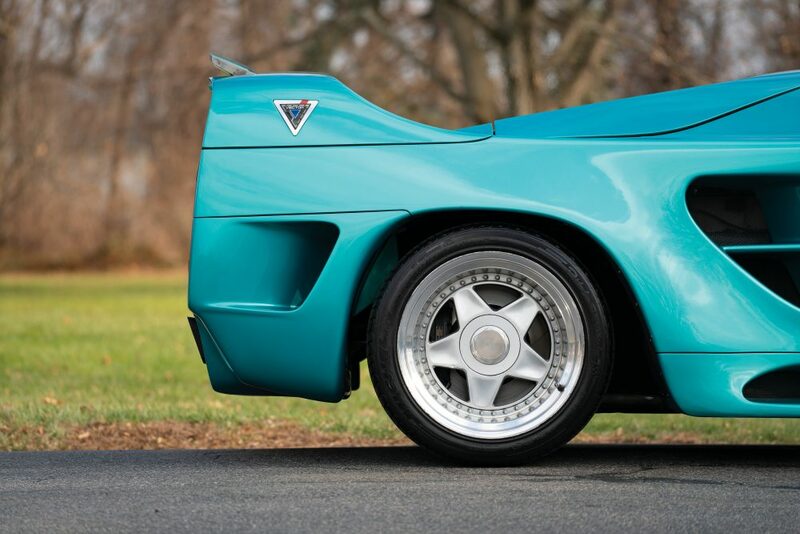 The prototype–this car–was shown in silver at the 1992 Geneva motor show, then further developed for the following year’s show with a variable boost twin-turbo Rodeck 7.0-liter, 1000bhp V8 and a repaint in Brilliant Aquamarine. 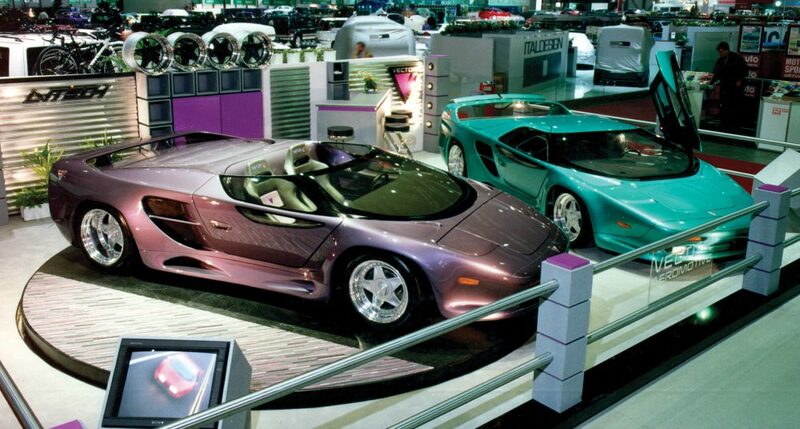 It was joined on the 1993 Geneva stand by the open-top purple WX-3R (for Roadster). Wiegert chose the colours because they matched the logo of his Aquajet jet-ski firm. 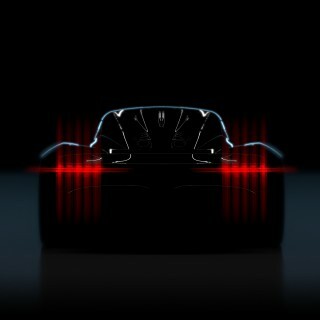 He claimed that there were plans for more engine options, to take power to 1200bhp. That’s Veyron territory! The transmission was a modified General Motors Turbo-Hydramatic 425 transmission, and the interior featured a three-across seating layout in black leather with teal trim. 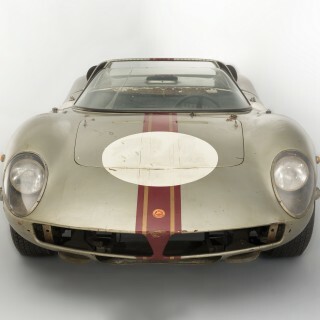 It’s reckoned that the coupe alone took $1-million to develop. The press lapped it up, but disaster struck when the Indonesian company that owned Lamborghini at the time launched a hostile takeover bid. Wiegert was able to retain ownership of the WX-3’s design, after a difficult court battle, which prevented Megatech from ever producing the vehicle but meant that the WX-3 never got past the prototype phase. 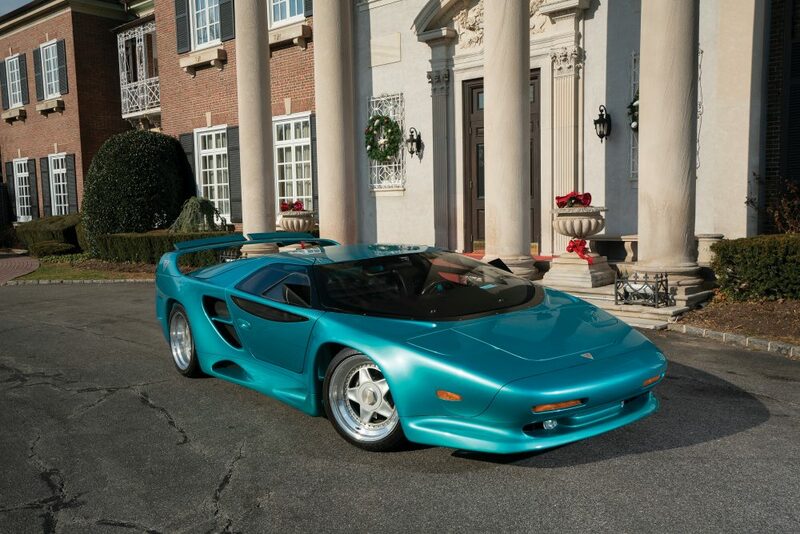 Megatech used the WX-3’s styling as its basis for the 1995 Lamborghini Diablo-based M12, but the WX-3 coupe and WX-3R roadster were the last all-American Vectors completed. Wiegert kept the two WX-3 prototypes, and the coupe appeared in an episode of the mid-1990s CBS revival of Burke’s Law and has been exhibited at numerous car shows. Now Jerry Wiegert is developing the new 2000bhp WX8–and he’s selling the WX-3 prototypes, which is why you see them here. Let’s hope it works out for him. I met Jerry Wiegert back in the late 1980s when he was driving around Orange County in the first prototype, which to my eye is still the best looking of the Vectors. A company I worked for at the time, AL Engineering, made some parts for the cars. Jerry has always been a colorful and arrogant guy. There were lots of production delays back then and it took forever to deliver the first customer cars. This doesn’t surprise me I’ve spoke with some of the owners over the years and got a similar response. 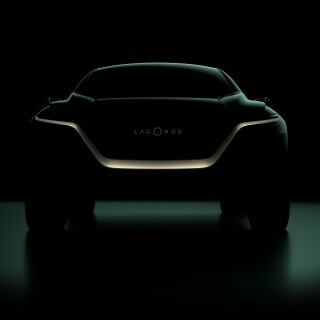 In the end it’s just another failed car company . The W2 was on display at the 1980 Summer Consumer Electronics show in Chicago for Blaupunkt. Weigert was there with it showing a display of arrogance that I’ll never forget. Every question he was asked about the car resulted in a horribly condescending response from him and the tone of voice implied that the person he was talking to was a complete idiot. None of the stories I read about him after my encounter came to me as a surprise, nor did the failure of his company.